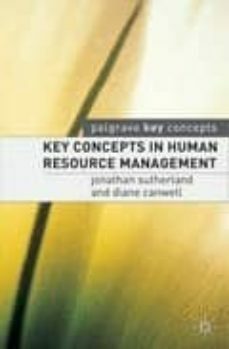 "Key Concepts in Human Resource Management" is one of a range of comprehensive glossaries with entries arranged alphabetically for easy reference. All major concepts, terms, theories and theorists are incorporated and cross-referenced. Additional reading and Internet research opportunities are identified. More complex terminology is clarified with numerous diagrams and illustrations. With over 500 key terms defined, the book represents a comprehensive must-have reference for anyone studying a business-related course or those simply wishing to understand what human resource management is all about.